For anybody questioning Ben Askren’s credentials, look no further than the praise he receives from UFC welterweight champion Tyron Woodley. Woodley has known Askren for nearly 15 years after they were first teammates on the University of Missouri wrestling team before they joined forces again while both training under head coach Duke Roufus in Milwaukee. Woodley has spent considerable time on the mats with Askren and truly believes that the former Bellator and ONE champion is going to shock a lot of people when he finally arrives in the UFC. “I’m happy for my homie Ben Askren, he’s one of the best fighters in the world,” Woodley said during an Instagram live session. “Not just UFC, not just Bellator, not just ONE FC, he’s had a remarkable career combatively. I would consider wrestling a combative sport as well. Four time finalist in the NCAA’s, [two] time champ, only lost to two individuals ever in collegiate wrestling, made an Olympic team. He really revolutionized scrambling or as he calls it ‘funk’. 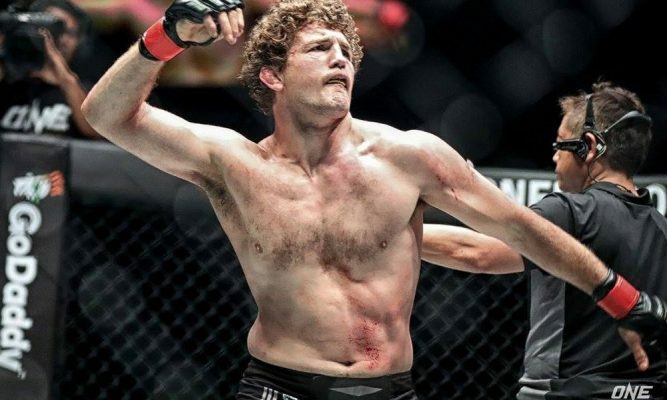 Prior to the historic trade that is being discussed to send Askren to the UFC in exchange for Demetrious Johnson going to ONE Championship, the former NCAA champion had already called out reigning lightweight champion Khabib Nurmagomedov, who uses a suffocating ground game to punish his opponents. While it’s not likely Askren will be cutting down to lightweight any time soon, Woodley knows if that fight ever happened that Nurmagomedov would be in a world of trouble. 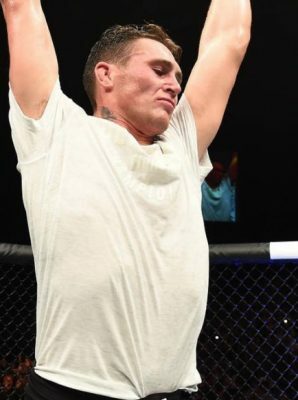 “Khabib is a ‘G’ but Khabib ain’t never fought nobody like Ben,” Woodley said. “He never fought anybody like Ben, he ain’t never fought nobody like Michael Chandler. Those guys would wreck him on life. Chandler’s intensity is more, his striking is better. Ben doesn’t have the same intensity but his style is not one of intensity. The same goes for a potential matchup against former welterweight champion Georges St-Pierre. Askren has long coveted a chance to face St-Pierre, who didn’t come from a wrestling background but his takedowns and ground work have been considered some of the best technique in the history of the sport. More than anything, Woodley is just excited to see Askren finally get his chance to compete in the UFC against the best fighters in the world to prove he’s just as good as advertised.